The holidays have recently become a popular time for people to embrace their inner planner. Whether a senior level event producer professionally or a senior level event producer socially, it seems that the moment we spot that first glimmer of foliage or flurries, the population embraces organized activities. 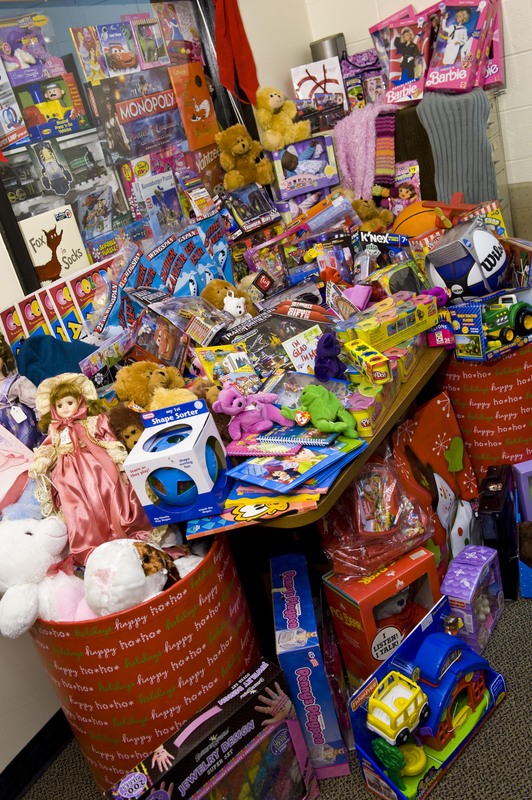 Moreover, what makes this time of year different than others is our yearning to give back. We’re not sure if it’s the tryptophan in our turkey or the bright lights of 5th Ave causing our hearts to swell, but something about those magical last two months of the year make everyone a little bit sweeter. One thing generous New Yorkers quickly realize upon moving to the city is that just like everything else in Manhattan, volunteering is competitive! Getting into a soup kitchen in November is harder than scoring a reservation at Rao’s! If you find yourself in a situation where you’re itching to contribute to the merriment of the season but aren’t sure how, allow me to offer some festive tips! Seeing those less fortunate in anything less than a parka on the cold city streets can be eye opening. Research a couple local charities that collect items and work with your office or building to run a Clothing Drive. You can make it competitive by having people submit their names for each submission and reveal a prize, or post their names on festive ornaments to showcase the kindness. 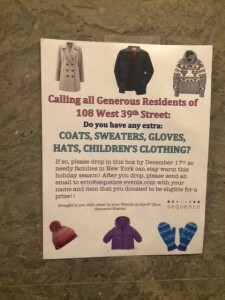 This is a victory for multiple causes: Helping locals in need, getting to know your co-workers and office neighbors, and of course gaining more space in your tiny New York closet! Dress up a few boxes in festive wrapping paper to contribute to the lobby décor and use this as a collection depot for various food items. You can knock this competition up a notch and create a holiday bake-off for various treats. Judges can determine the winner while the remainder of the product goes to a local shelter. Just make sure to make enough for the office AND the needy so everyone wins! Even the heart of the biggest Grinch melts at the thought of a child ripping open a present with glee. To contribute to that joy, put together teams at work or within your family to “adopt” a child (or some organizations pair you with an entire family) and gift them appropriately. Usually you are armed with a wish list so you can be creative only if you want to. See “Toys of Hope” organization for more ideas! If the thought of mall parking lots, long lines, and crazed consumers clawing each other to get to a 50” TV makes your anxiety surge, you are not alone. Tons of websites will allow you to purchase something for someone in need and offer the same crazy deals for those stuck in a cycle of gluttony. You can also buy a gift for a soldier overseas or cover someone’s layaway fees! Start your own story telling montage by encouraging family or coworkers to “Pay it Forward” with one small act of kindness and submit their story to you. Display the stories and string them together as décor in the office or a conversation piece! See Amazon, Kmart or Layaway Angels for more details! Are you in charge of the company holiday party? Or tight with the person who is? Use the get together as an opportunity to collect from all your guests in a simple and non-demanding way. Encouraging everyone to arrive with one unwrapped gift for a child is a fun way to decorate your space, while also serving as a generous activity for a local family. By the end of the night, you’ll feel jollier than the big guy himself knowing all the gifting you’re about to bestow! 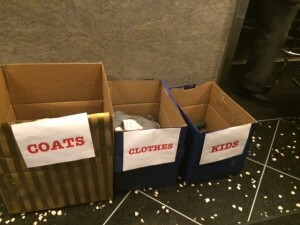 Editor’s Note: Erin was incredibly kind – and ambitious -- enough to organize a building-wide clothing drive at SEQ’s headquarters. 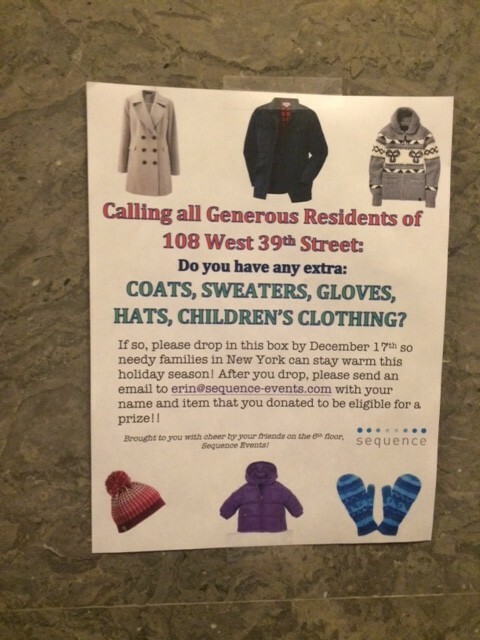 If you’re interested in participating you can drop off any clothes in the lobby of 108 W. 39th Street (and please drop in to Suite 604 to say hello! ).